The 2017 Nissan Altima was refreshed last year to bring it in line with the likes of the more upscale Maxima. 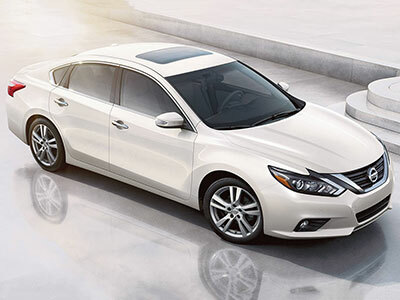 The Altima now has that signature V-shaped grille, re-sculpted fenders, and LED headlights are now available, although the body design remains largely untouched. Although the Nissan is no sport sedan, it is a smart, modern looking car that's pleasing on the eye. The Camry has never been one of the best-looking midsize sedans, but that hasn't stopped Toyota from selling millions and millions of them. The front grille is perhaps its most striking feature, although it's also the most polarizing thing about the Camry. Neither of these two are ugly ducklings, or beauty queens for that matter, but the Altima does have a slight edge. Fuel economy is almost always an issue for buyers, one of the smart considerations that feels very important. The 2017 Nissan Altima doesn't disappoint in this area, as the four-cylinder variants get EPA-estimated ratings as good as 27 mpg in the city, 39 mpg on the highway and 31 mpg combined. Regardless of the size, those numbers are impressive. The most common engine in the Camry is the 2.5-liter inline-four, which is rated by the EPA at 24 mpg in the city, 33 mpg on the highway and 27 mpg combined--a long way short of what the Nissan offers. Performance is more and more important with midsize sedans like these, even for some of the more lowly models in the ranges. The Altima isn't actually as sporty as it used to be as it now concentrates more on refinement, but the SR trim still shows what the Nissan is capable of. The V-6 engine and CVT transmission combined with the sedan's stiff structure delivers a precise ride and handling, although a little more power wouldn't be a bad thing. 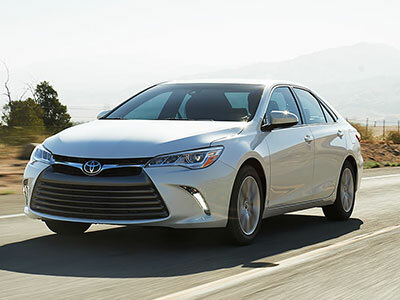 Toyota made some changes to the Camry's body and suspension a couple of years ago that brought a little more control to the way it drives, while still keeping its smooth ride intact. Although there is a V-6 engine option, it's an aging unit that lacks a turbo and there's no match in the Camry lineup for the Nissan Altima SR. This round also goes to the Altima. The 2017 Nissan Altima doesn't lack safety features and the overall structure of the Nissan Altima is inherently safe too. Last year saw an expansion of its suite of available safety features, although to get the most hi-tech features means spending extra for the Tech Package. However, it still gets top ratings from both the NHTSA and the IIHS. Although the safety agency ratings of the Nissan can't be beaten, the standard safety features are a little more generous with the Toyota than they are in the Nissan. Optional safety packages are reserved for the top XSE and XLE trim levels, though. These two midsize sedans are well-matched, but the 2017 Nissan Altima just edges ahead for us thanks to its more appealing exterior design, its quiet, comfortable ride, and its more modern engines. Overall, the Camry is just starting to seem a little old when compared to something more contemporary like the Altima.